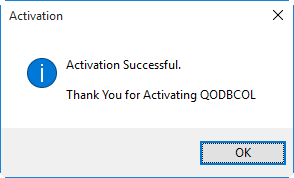 When you first install QODBC Online it automatically activates a "once-off" FREE 30 Day Evaluation... beyond which QODBC Online will stop working and you will need to purchase a CDKEY. 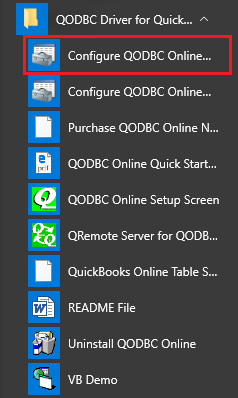 Once you have received your CDKEY you need to click on Start -> All Programs -> locate the QODBC Driver for QuickBooks Online program group on your desktop. 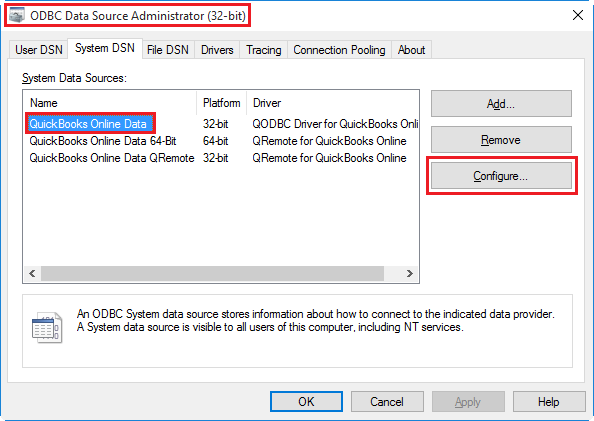 Click on the Configure QODBC Online Data Source icon to launch the setup program. 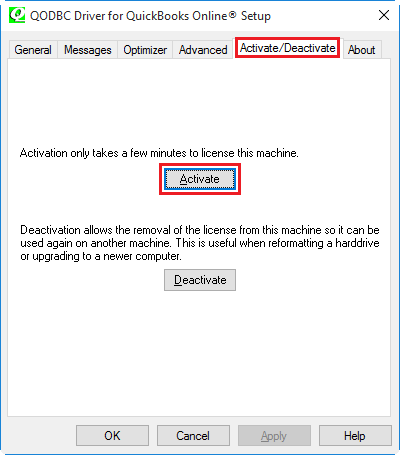 Select the Activate/Deactivate tab page in the QODBC Online Setup screen and click on the Activate button. Enter your 16 digit CDKEY (with the - dashes) and click on the Activate button. Manual Activation can be used for computers that do not have direct Internet access or where the automated activation fails. 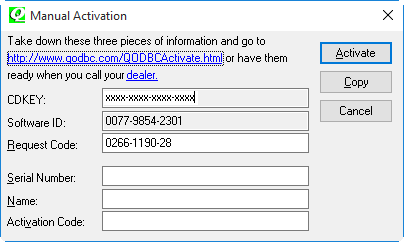 Copy the information from your computer screen into the image directly below and click on Process to generate a code to activate QODBC Online. Click on the Copy button to save your CDKEY. If you have correctly entered your CDKEY, Request Code, and Software ID, your activation will now be processed. 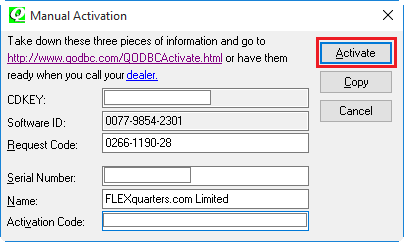 Click on the Manual button on the computer that has QODBC Online installed on it and copy and enter your Serial Number, Name, Request Code and Activation Code from the above image and click on the Activate button when done. If you have entered the information incorrectly, or have exceeded your purchased quantity of license seats, you will receive a "CDKEY not found" message. 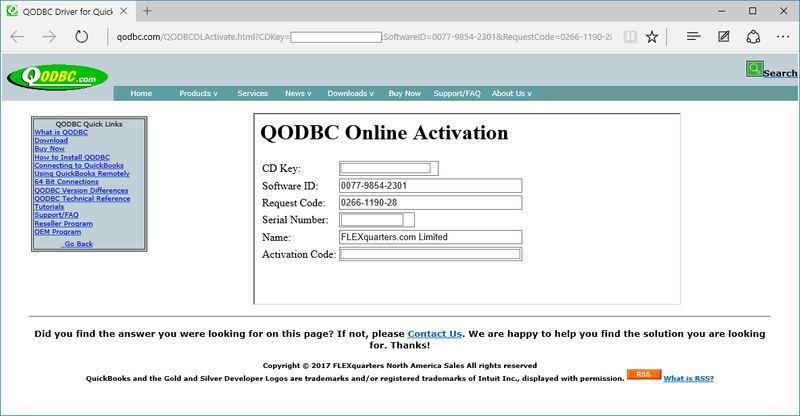 Your copy of QODBC Online is now successfully activated! Click OK to continue.